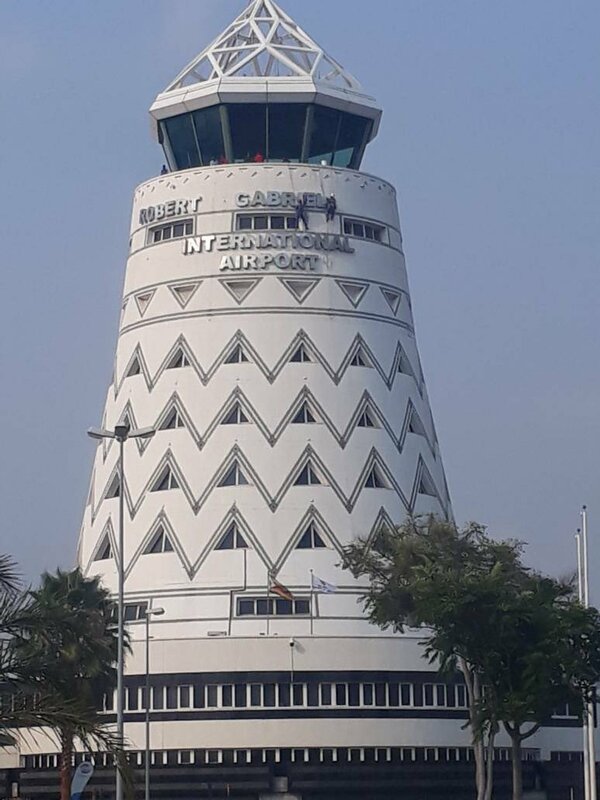 Opposition parties have reacted angrily to the renaming of Harare International Airport by government this week which honoured President Robert Mugabe by naming the airport after him in a process which gobbled $500 000. Mugabe is not the only leader in the world who has had an airport named after him. However, opposition and rights groups claim the 93-year-old, accused of running down the once vibrant Zimbabwe economy, does not deserve such an honour. Government is spending big on deification of long-ruling Mugabe, who has been Zimbabwe’s only president since independence from the British in 1980. In August, Cabinet approved a proposal by the Higher and Tertiary Education ministry to establish a ‘‘high-tech’’ Robert Mugabe University of Sciences at a cost of $1 billion. Former prime minister Morgan Tsvangirai’s MDC party said naming the Harare International Airport after Mugabe was not proper. “Surely, the gods must really be crazy! The renaming of Harare International Airport to Robert Mugabe International Airport on Thursday, November 9, 2017, marks a new low in both the political and aviation history of Zimbabwe. “The MDC is a social democratic political party, it is a people’s project and as such, we abhor and condemn any attempt to personalise and privatise national institutions such as the Harare International Airport. The Zanu PF regime, fronted by the nonagenarian, Robert Mugabe, has certainly lost its marbles,” said the party’s spokesperson Obert Gutu. 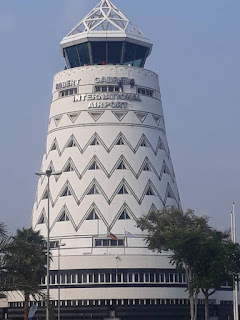 Transport minister Joram Gumbo, said the renaming of the airport was to honour Mugabe and had been approved by Cabinet. “In recognition of your (Mugabe’s) contribution towards the liberation of the people of Zimbabwe, the ministry of Transport and Infrastructural Development is now implementing the resolution from the Zanu PF Victoria Falls conference to rename Harare International Airport in your honour. “In order for the process to be supported by international stakeholders, assurances and comprehensive input from local stakeholders was sought. Cabinet approval for the name change was sought and granted,” Gumbo said. But the opposition parties questioned government’s decision and blamed Zanu PF officials for lacking courage to resist bootlicking Mugabe. “Mugabe now has the space to convert any part of Zimbabwe into his name because of the fear that he successfully instilled into the remaining cowards around him. No one inside Zanu PF at the moment has the capacity to criticise or stop Robert Mugabe from doing whatever he wants. “Mugabe has the capacity of running away with everything. The remaining Zanu PF ministers are all spineless to oppose Mugabe. “I hope Mugabe knows that everything that he has done shall be revisited and evaluated at some stage. Converting State assets to his name is nonsensical and unacceptable,” said Kurauone Chihwayi, spokesperson of the Welshman Ncube-led MDC. People’s Democratic Party (PDP) spokesperson Jacob Mafume said Mugabe is seeking to assert his hold on Zimbabwe. “Robert Mugabe has an issue with his name for an unknown reason. He seems to want to assert paternity over everything that is in Zimbabwe,” said Mafume. Apart from naming the Harare International Airport after Mugabe and unveiling plans to construct the Robert Gabriel Mugabe University, government declared February 21 as Robert Mugabe National Youth Day.